If the “Login” button is written in a language other than English and you cannot log in. The error message says that the language you selected is not provided, but you never selected any languages. Make sure you have the English character set listed first in your browser. These instructions are for Microsoft Internet Explorer version 11. You should get a window that looks like the one below. 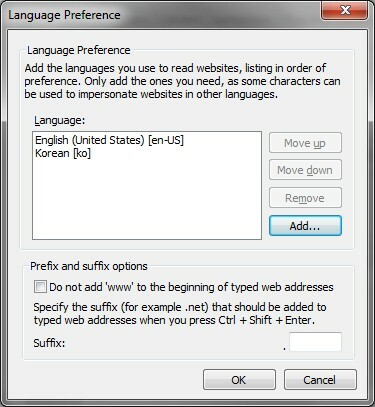 If you do not have the ‘English (United States) [en-us] option added, click on the Add button and then try again.